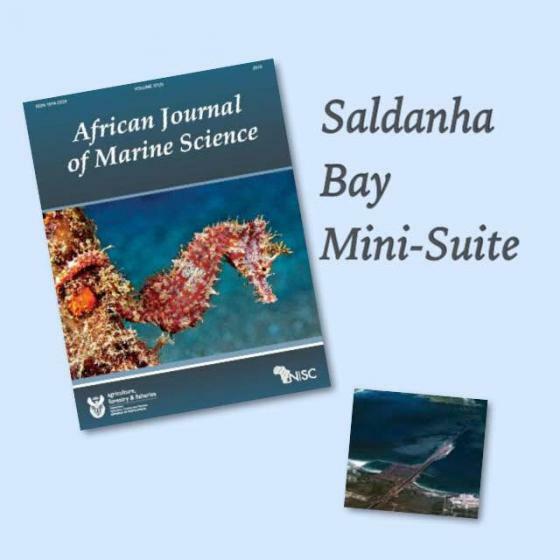 Saldanha Bay is a semi-enclosed system located on the west coast of South Africa and is the focus of a mini-suite containing three papers published in Volume 37, issue 4 of the African Journal of Marine Science. A large embayment which connects with the shallow, sheltered Langebaan Lagoon to the south and the Southern Benguela upwelling system to the west, Saldanha Bay, has a long history of serving the fishing industry. The construction of a deep-water harbour in the mid-1970’s as the export node for iron ore and for handling oil imports, as well as the hydrodynamics of the bay being altered at this time have created two sectors of different hydrographic regimes, namely Small Bay and Big Bay. In-water bivalve culture in South Africa is centred in Saldanha Bay as it offers a protective, yet productive, culture environment. This has added to Saldanha Bay’s significance to the study of bay productivity, the assessment of phytoplankton biomass and the new production and carrying capacity for bivalve aquaculture. 2. Saldanha Bay, South Africa II: estimating bay productivity, Pitcher, Smith and Probyn. 3. Saldanha Bay, South African III: new production and carrying capacity for bivalve aquaculture, Probyn, Atkins and Pitcher. All three papers are available for a limited free access period (until the end of 2015) by clicking on their respective titles above. To see these articles as well as others in this issue click here.